Neighborhood Capital Institute creates comprehensive development plans that are community-driven and economically viable; we do this by merging the expertise of stakeholders, development experts and leading planning professionals. NCI approaches each assignment with a specially created working group, composed of colleagues chosen for their relevant expertise. NCI prides itself on having "a deep bench" - access to leading professionals of the highest integrity that enjoy working collaboratively with both NCI clients and with each other. Descriptions of some of our Team Members follow. M.D. “Mike” Higbee, Jr. Public Private Partnerships – DC Development Group and President, Development Concepts, Inc.
Ruth Wuorenma is a land use and development expert who has focused her career on helping public, private, for-profit and nonprofit entities align goals and assets for mutual benefit and increased effectiveness. Her work as a land use lawyer and as a developer informs her research, her policy recommendations and her interest in advancing best development practices. Her path has spanned national and international commercial real estate, market-rate and affordable housing, and various civic roles. She has deep experience in land use and entitlements; in the creation of new real estate products and systems that are replicable and scalable; in site selection and development; and has a lifelong passion for community engagement that strengthens a shared sense of place. Neighborhood Capital Institute (NCI). In 2003, Ruth created NCI, an Illinois not-for-profit policy and practice corporation, with federal 501c3 tax-exempt status. Practice. NCI offers strategic planning and real estate development services to clients, both public and private, that own or control significant real estate and/or infrastructure, helping them leverage those assets so as to foster capital investment, economic vitality, and an enhanced quality of life for residents and other stakeholders. NCI typically works on projects where the constraints on new investment are too large, complicated or costly for either the public or private sector alone to address, and where focused collaboration is required among many stakeholders. Often, NCI works as an owner’s representative or project manager, using master development strategies to help communities move beyond “piecemeal solutions and workarounds,” toward transformational change of significant scale, including the preparation of entitled, market-ready sites to activate the development plan. For example, in its work with a public agency client responsible for storm water management, green infrastructure incorporated into a master development plan will not only reduce flooding but will do so in a way that will stabilize property values in an economically hard-hit village, attract new investment, and make access to nature an amenity, not a threat. Another client, a safety net hospital in a rapidly gentrifying area of Chicago, owns real estate not currently needed for hospital purposes. It has hired NCI to help it understand the true value of its assets and how those assets might be better deployed to further hospital and community goals in economically prudent ways that are attractive to desired new investment. Policy. Concerned with macro conditions impacting disinvested communities, in 2010 NCI began its continuing efforts to respond to two challenges facing public entities and others that own or control significant infrastructure and real estate: One, the lack of independent, proactive implementers to “connect the dots,” to lead teams with capacity to help cities and districts create attractive development contexts and then prepare sites within them for sale or new investment. And, two, the lack of money (or financing) to hire such implementers. Working with investment banker William Blair & Company, LLC, and lawyers at Neal, Gerber & Eisenberg, LLP, the NCI team invested significant resources and time in the creation of a test case/pilot loan fund (including the preparation of securities documents), for comprehensive, pre-development services (the NCI Fund). The Fund would loan public entities the cost of hiring an independent pre-development team, with repayment coming from a pledge of TIF revenues and development-related fees resulting from the pre-development activities. Although it received strong support from industry leaders who saw the need it filled, investors were uneasy. They understood the developer-driven model of land development but not a community-driven one. The Fund has not yet launched. However, the underlying concept of a “bridge loan” to pay for high impact/high return pre-development services is beginning to gain traction, in limited ways, on a case-by-case basis. Earlier Career. Before founding NCI, Ruth was development advisor/project manager to the City of Waukegan, Illinois, as it launched an award-winning redevelopment master plan for its 1,400-acre lakefront and 400-acre downtown. Prior to her work in Waukegan, Ruth was a managing director for Mesirow Financial Real Estate, where she oversaw the firm's work on a variety of mixed-use, high-density, often transit-oriented urban developments, including market-rate and public housing transformation projects. Earlier, she developed an array of market-rate residential products, both new construction and loft conversions. Under NCI’s predecessor, Neighborhood Capital Company, she partnered with an investor/developer in a non-subsidized affordable condominium conversion, Bernice Terraces, in Lansing, IL, to demonstrate how lower income households could responsibly build equity, when offered an appropriate real estate product. The approach was designed to pre-qualify existing tenants in good standing for a conventional mortgage and made the total costs of home ownership (principal, interest, taxes, insurance and assessments, or PITIA), equivalent to their current rent. In so doing, it thus stabilized future housing costs for households with incomes as low as 40% of Area Median Income (AMI), an economically vulnerable population and otherwise typically without capacity to develop equity. That endeavor won Bank of America's Enterprise Award, the first given to a for-profit entity. Ruth began her career as a land use and zoning attorney at one of the country's largest real estate law firms (Rudnick & Wolfe, now DLA Piper), managing entitlement processes for projects that ranged from small inner urban sites to large suburban office, residential and mixed-use parks. From Rudnick & Wolfe, she went to work for Marriott Corporation, becoming one of Marriott's top producing developers (at a time when Marriott was one of the four largest developers in the US). She had a unique role at the company: for each of three new hotel types created by Marriott (Courtyard, Fairfield, and a Courtyard-type hotel for Europe) she was the developer selected to work with marketing, architecture and construction to help define the design program for the prototype and then acquire the initial sites. After her time as “new product developer” she assumed development responsibility for full service hotels and resorts in the Midwest and West. Much of what she learned at Marriott about (i) serving price-sensitive customers, (ii) product differentiation, (iii) site selection, and (iv) replicable real estate systems has informed her work in affordable housing and serving disinvested communities. During a yearlong sabbatical from commercial real estate, she served in the reform cabinet of Triton Community College in River Grove, Illinois, during which time the college was removed from governance probation by the State of Illinois. Affiliations. Ruth's professional affiliations are with organizations addressing urban issues, infrastructure and finance. She is a member of the board of directors of Illinois American Water, a subsidiary of American Water (NYSE – AWK); a member of the Waukegan Economic Development Advisory Board (WEDAB); and a member of the Land Use Committee of the Chicago Metropolitan Agency for Planning (CMAP), the Master Planning Organization (MPO) designated by the federal government to carry out the metropolitan transportation planning process. She is a Visiting Scholar/Senior Fellow at the Chaddick Institute for Metropolitan Development at DePaul University, and she has been an advisor to studio classes for Transit-Oriented Development in the College of Urban Planning and Public Affairs (CUPPA) at the University of Illinois at Chicago (UIC). She is an active member of the Urban Land Institute at the national level, where she is in her second 5-year term as a member of its Public Development and Infrastructure Council. She is active in ULI’s Chicago District Council, as a member of its Policy Committee and, previously, as a member its regional infrastructure task force. She is also a member of the Public Affairs Committee (and its Transportation Subcommittee) of the Union League of Chicago. She’s active in, and a past board member of, the Ely Chapter of Lambda Alpha International, which presented her with the Robert J. Piper Distinguished Leadership Award in 2011 for her work in building partnerships that enrich neighborhoods and communities. She and her husband are proud owners of “Happy Turtle Farms,” two farm sites in Michigan that focus on the preservation of small farms and wildlife habitat. Ruth graduated with honors from the University of Illinois at Urbana-Champaign and earned her JD from its College of Law, after having started her legal education at New York University as a Root-Tilden Scholar (a full tuition scholarship awarded to those who would use their legal education to serve the public interest). She completed her last year of coursework at the University of Chicago Law School. Kitty P. Freidheim has been involved in the field of planning services for over twenty eight years both in airports and in downtown development. Her major credits include the overall supervision of planning, real estate and environmental matters for the Chicago Airport System, the most active airport system in the country. In this capacity, she oversaw the development of all collateral land activity from the designation of appropriate land uses to the advertisement to final negotiation of leases with tenants to actual construction of facilities. Ms. Freidheim led the planning activity for major capital projects in the Chicago Airport System including the International Terminal, the Midway Terminal Development Program, the World Gateway Program and renovations within the existing domestic terminal complex. She also supervised planning for airfield activities and ground transportation improvements. 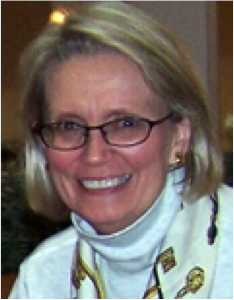 Additionally, Ms. Freidheim served as Chicago’s primary liaison to the Federal Aviation Administration both at the Great Lakes Regional and to Headquarters in Washington, D.C. She is the former Chairman of the Technical Committee of the Airports Council International. In 2004, Ms. Freidheim established Freidheim Consulting which provides aviation planning services to airports and private clients. The firm has provided work for The City of Chicago Department of Aviation, Rockford Airport Authority, Metropolitan Washington Airport Authority, Clark County Airport Authority (McCarran Airport  Las Vegas), San Diego Airport Authority, Toledo-Lucas County Airport, private property owners and concessionaires. Ron Manderscheid Ron Manderschied has been President of Northwestern University Settlement House since 1981, and became President and CEO of Noble Street Charter School when it opened in 1999; and of the Noble Network of Charter Schools when it was established in 2005 as operator of Noble Street’s replicating campuses. He served as President and CEO of the Network through 2009, where he was responsible for the general administration and fundraising for this $55 million organization. His work focused primarily with governance, the development and interpretation of policy, as well as oversight of technology planning and financial management in the network. The 2012 annual operating budget of the Settlement Association is approximately $8.5 million and is expected to grow to $12 million during the next three years as a new Settlement charter elementary school grows to its full enrollment of 750 students. Other programs at the Settlement House include Head Start, AmeriCorps, Residential Camping, Crisis Intervention, Vittum Theater, and After School Programs for youth. In 2011, over 15000 Chicago students participated in the theater program and an additional 8000 neighbors were involved in other program areas of the Settlement. Mr. Manderschied currently serves as the board Vice Chair of the United Neighborhood Centers of America (UNCA) which has 160 member agencies across the country. UNCA is affiliated with Alliance for Children & Families, Ways to Work and FEI Behavioral Health, Inc. UNCA focuses its efforts on new Americans and civic engagement, and economic opportunities for families within the context of neighborhoods. He is a board member of the Neighborhood Capital Institute, a Chicago based not-for-profit that creates comprehensive development plans which are community-driven and economically viable by merging the expertise of stakeholders, development experts and planning professionals. Community development frameworks are created that encourage private investment in sites ranging from a few city blocks to thousands of acres. In addition, Mr. Manderschied serves on the Higher Learning Commission’s Institutional Actions Counsel - The Higher Learning Commission accredits degree-granting post-secondary educational institutions in the North Central region. He also devotes time to the American Camping Association to do field accreditations of children’s summer residential camps across Illinois and Wisconsin. Mr. Manderschied received his Bachelor of Arts degrees in Business Administration and Sociology from the University of Minnesota and pursued graduate studies in Social Work. Stephen E. Schlickman Stephen E. Schlickman became the Executive Director of the University of Illinois Chicago Urban Transportation Center on November 1 2010. Prior to that he served as the executive director of the Regional Transportation Authority (RTA) of Northeastern Illinois for five years, charged with oversight, financial assistance and planning coordination for the region’s transit operating agencies, the Chicago Transit Authority (CTA), Metra and Pace. He was instrumental in leading the 2007 state legislative initiative to reform and increase the funding for the transit system. Mr. Schlickman has more than 30 years of transportation experience and has been involved in every federal and Illinois highway and transit program reauthorization since 1982. Prior to being named RTA Executive Director, Mr. Schlickman operated his own consulting practice providing financial, project policy, and legislative advice to clients involved in all modes of surface transportation as well as for water and park infrastructure activities. In 2005, Mr. Schlickman advised Macquarie Bank in their successful $1.8 billion bid with Cintra for the concession for Chicago Skyway bridge toll facility. In 1998 and 1999, he led the Chicago area’s Business Leaders for Transportation coalition in their support for the Illinois FIRST legislation, which provided $5.7 billion in new funding for Illinois highway and transit infrastructure needs. In the 1980s, Mr. Schlickman managed legislative transit programs for the Chicago area and was actively involved in the 1983 RTA reform legislation. In 1982 and 1983, he was the administrator for the Administrative Joint Commission which oversaw the management of the CTA’s financial crisis. He also worked for the RTA the late 1980s. From 1989 to 1991, he directed the City of Chicago’s Washington Office where he was responsible for the City’s transportation legislative agenda and other municipal objectives. Mr. Schlickman has been a member of the Illinois Public Transportation Association, serving as its president in 1998 and 1989. He has also been active with the American Public Transportation Association, serving on its legislative committee for many years. In addition, he was the founding chairman of the New Start Working Group, a national coalition of New Start transit projects. As the RTA executive director, Mr. Schlickman formed a coalition of the largest transit systems in the country. Mr. Schlickman is also an adjunct assistant professor at the University of Illinois Chicago teaching a course in transportation project funding and finance. Mr. Schlickman has a law degree from DePaul University and an undergraduate degree in government from Georgetown University. He and his wife, Alison, live in South Loop of the City of Chicago. Judith Aiello-Fantus has had over 32 years of municipal experience during which time she was the Assistant City Manager for the City of Evanston and responsible for the City’s community and economic development programs and the daily operations of the City’s departments of Community & Economic Development, Public Works, Health & Human Services, Library, Youth Initiative and Public Information. The City’s economic development activities focused upon four major areas: abandoned and/or underutilized industrial facilities; downtown and neighborhood commercial revitalization including the Northwestern University/Evanston Research Park; mixed used development and residential developments. Ms. Aiello-Fantus directed the City’s role in land acquisition, commercial and residential relocation, remediation, site preparation, capital planning, redevelopment plans, infrastructure improvement and property management. Ms. Aiello-Fantus initiated and fostered partnerships with the private sector utilizing a wide range of economic development tools. A major effort was undertaken to create a positive development environment with revisions to the City’s development process, zoning ordinance and new development plans for the downtown and neighborhood commercial districts. During her tenure the City created six Tax Increment Financing districts, the first one generating over a 7,924% increase in EAV. Ms. Aiello-Fantus received a B.S. from the University of Kansas, a Master’s of Urban Policy and Planning from the University of Illinois-Chicago and a Master’s of Public Administration from the University of Southern California. She attended the Kennedy School of Government Executive Development Program and participated in a State and Local Government Fellowship with the U.S. Department of Housing & Urban Development in Washington D.C. Ms. Aiello-Fantus is a member of the Urban Land Institute, Lambda Alpha and the American Planning Association. She has been a speaker at conferences for the Government Finance Officers Association, American Planning Association, Urban Land Institute and the International Council of Shopping Centers. 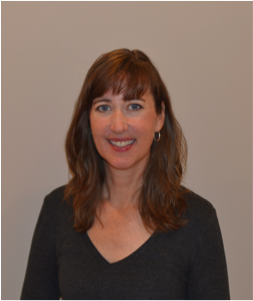 Ms Aiello-Fantus serves as the Vice President of the Evanston Community Foundation and is a member of the Evanston Chamber of Commerce Board and the RTA Citizens Advisory Board. Kim Klein is an experienced manager of not-for-profit organizations including executive boards, philanthropic groups and neighborhood associations. Over the last ten years, she has successfully conducted several membership campaigns, facilitated board meetings nationwide, produced complex and innovative multi-day conferences, often on limited budgets, and designed outreach and marketing materials such as newsletters and flyers. Ms. Klein continually has demonstrated organizational and administrative skills in the areas of event planning, financial accounts management, meeting coordination, negotiating vendor contracts, member communications and design and development of print and web materials in support of the organization’s goals. Ms. Klein focuses on creative solutions for individuals and organizations planning events that run the spectrum from large special occasion celebrations to small confidential business meetings. She has an appreciation and respect for client needs, tastes and parameters and is able to carve creative solutions with resources at hand. 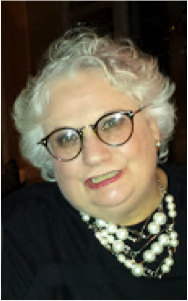 Prior to association management, Ms. Klein was a social worker directly employed by nationally recognized leaders in their field such as Children’s Memorial Hospital and Catholic Charities. The majority of her work involved counseling distressed families in impoverished neighborhoods and locating the necessary resources to improve their circumstances. Ms. Klein holds a Bachelor’s degree in social work with a minor in psychology from the University of Nevada in Reno, Nevada, and was awarded her Master’s degree from the Jane Addams College of Social Work at the University of Illinois at Chicago. Ms. Klein is in the process of earning her Certified Meeting Planner (CMP) certificate. She is also a member of Meeting Planners International (MPI) and serves on the Strategic Alliance Committee where they currently are working with low income and homeless populations to ensure they have proper shelter and health care. She and her husband have been licensed foster parents for the State of Illinois Foster Care Program since 2011. 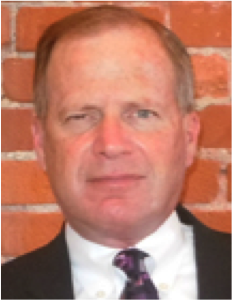 Public Private Partnerships – DC Development Group and President, Development Concepts, Inc.
Mike Higbee is the Managing Director of DC Development Group (DCDG), an Indianapolis based development firm. Mr. Higbee established DCDG to complement the work of Development Concepts, Inc., a real estate planning and development services consulting firm he founded in 1991. Mr. Higbee has worn many hats, including that of project leader, consultant, and instructor. However, he has always remained true to the cornerstone of his expertise which is conceptualizing development and seeing it through to construction completion. Mr. Higbee has designed and developed numerous successful projects focused in urban environments, such as Martindale on the Monon, National Apartments, and Avondale Meadows. Currently Mr. Higbee is providing the master planning/development work for the redevelopment of the former Central State Mental Hospital - a 150 acre site located in Indianapolis. Given Mr. Higbee’s experience in Mixed Use (re)Development, Implementation and P3 he is often invited to participateorChairULIAdvisoryServicesPanelsacrossthecountry. HewastheChairforthePanel that studied “Strategies for Reusing a National Historic Landmark,” H.H. Richardson Complex, in Buffalo, NY, as well as Panels in St. Petersburg Florida and the St. Juliens Creek Navel Annex in Chesapeake Virginia. As a consultant, Mr. Higbee uses his experience to help create plans and developments that benefit cities across the country, including Waukegan, Illinois; Rockville, Maryland; Durham, North Carolina; and West Lafayette, Indiana. He has also done consulting work in the United Arab Emirates assisting development companies in structuring development programs for large undeveloped land parcels. Prior to forming Development Concepts, Mr. Higbee served as the Director of Metropolitan Development, one of six departments within the Indianapolis-Marion County consolidated government. During his time with the City of Indianapolis, his department was responsible for the City’s economic development and affordable housing initiatives. Some of the premiere projects he facilitated for the City were the Circle Centre Mall development, the Lower Canal Improvement Project, and negotiations for the United Airlines Maintenance Facility at the Indianapolis International Airport.